Dinner at Odette in Singapore. 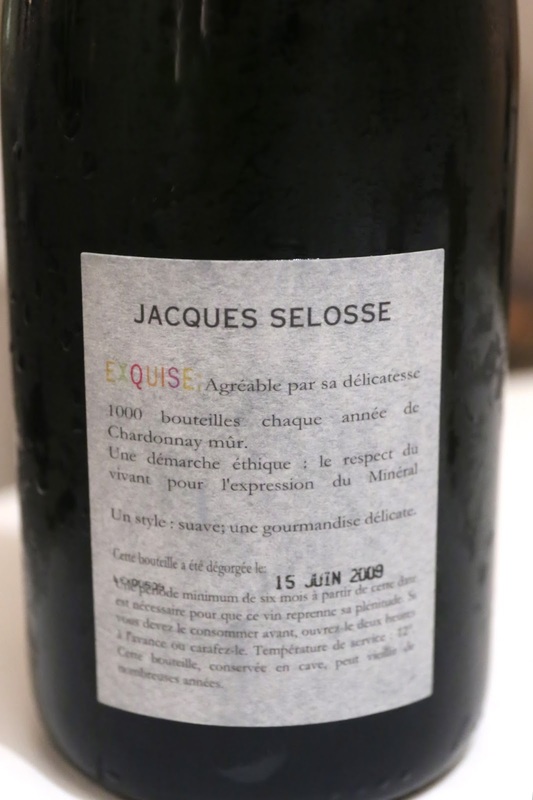 Jacques Selosse Exquise, dégorgée à 15 Juin 2009 - this was much, much sweeter on the palate than every other bottle I have had before. Also very rounded and mature on the palate. Nice toasty notes with marmalade. Such a pleasure to drink.